In January 2012 KPMG saved ailing fashion chain Bonmarchè by putting the business through a pre-pack administration. Despite this rescue deal, in which Sun Capital Partners bought the business out of administration, the company faced stifling annual rent bills across its 400 sites with many showing big losses as a result. To solve this debilitating problem, CAPA was called in to negotiate and restructure lease terms with landlords. 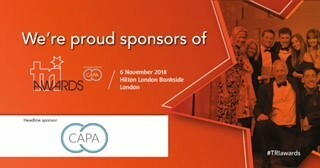 Led by CAPA’s co-founder Mike Sheath, the team applied its solution-led techniques which ultimately saved £14m of rent for the business in the first year - proving there’s no such thing as a fixed cost. This huge saving played a pivotal role in Bonmarchè’s turnaround. CAPA was appointed in the run-up to Bonmarchè’s pre-pack administration. The instruction was to advise on options for new leases and likely rental savings going forward. Bonmarchè had 400 stores and initially wanted to retain about 230. This number quickly became 260 as a result of better than expected lease terms being secured. Each individual Bonmarchè lease was analysed line by line. CAPA then set about negotiating with landlords to apply new terms. This was undertaken on the basis of either new leases or assignments at affordable rents, together with rent-free periods. CAPA was also instructed to manage the transfer of those stores to the new tenant. That process took around 18 months. On a rent roll of 260 stores the business had been paying about £26m per annum. After CAPA’s successful negotiations with landlords, this was slashed to £12m in the first year of their appointment. Of the £14m saving, £7m was actual annual reductions in the contractual amount in the lease. The rest was achieved via rent-free periods. Based on such results, the business then asked CAPA to manage the whole property portfolio. This asset management function was outsourced in its entirety to CAPA. This included rent reviews, lease renewals, acquisitions of new properties, disposals and liaison over repairing obligations. This enabled CAPA to “tailor a bespoke service”, as co-founder Mike Sheath explains. Firstly, CAPA explained to landlords in detail the quality of the tenant, in terms of its financial standing and business plan going forward. A new board, led by Beth Butterwick, had been put together while fresh capital was injected by the owner Sun Capital. As a result, the core product was improving. In essence, though it required assistance to begin with, Bonmarchè was a credible tenant for the long term. Back in 2012/2013, against the backdrop of a UK economy coming out of a severe recession, high streets were littered with retail casualties. It wasn’t a good time for landlords to find new retail tenants and CAPA was able to convince landlords that not only were they fortunate to have an occupier; with Bonmarchè their investment would recover in time. Another factor that helped was that the locations of these properties were secondary, as opposed to prime, and even tertiary in some cases. CAPA is well versed in such scenarios and was quick to advise on the true rental value at the time and what reasonable new lease terms would look like. It was a case of affordability; arriving at a sustainable rent within the parameters set by the pattern of sales achieved by individual stores. CAPA also had the benefit of precedent and several points of reference to inform the business. During the course of Bonmarchè’s turnaround, the retailer approached CAPA to advise on what length a typical lease should be. Many were on old 10-year terms. 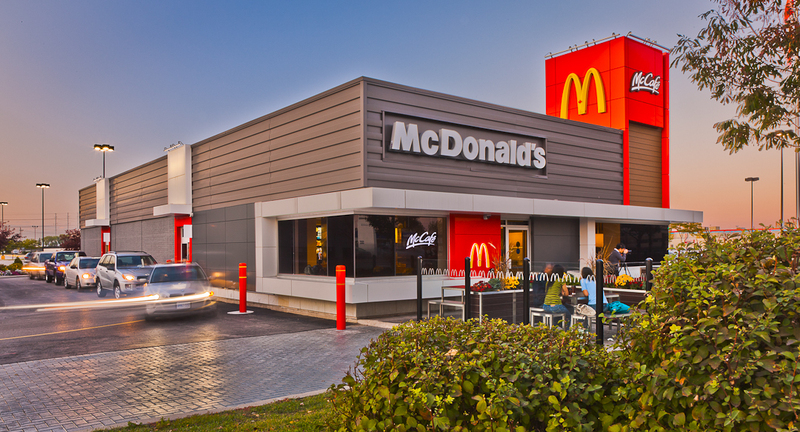 The team also secured the addition of a break clause in some leases, introducing a level of flexibility on sites which the retailer deemed to be more uncertain. CAPA also managed to insert another element that prevented the retailer from leaving itself open to claims from landlords over any historic deterioration of any of the properties. This insertion was a ‘schedule of condition’ and ensures that at the end of the tenancy, the property’s condition is assessed compared to ‘day one’ of the tenant’s occupancy. This prevented any claims being made against Bonmarchè for any dilapidation across properties that predated the retailer’s tenancy. 5 Five years on: A bright future 2017 marks the five-year anniversary of CAPA’s initial instruction on Bonmarchè. It also marks the year in which many of the new leases expire and hence require renegotiating – about 100 in total. Around 18 months prior to the expiry dates, CAPA began working on these renewals. This time around the rents reduced only very slightly however the team was able to secure rent-free periods, at an average of nine months across the board. The team also persuaded landlords to inject capital into store refits. This was a tricky point to negotiate but CAPA convinced landlords that ultimately, they were better off with a visually improved property and a tenant with proven, strong credibility. They presented photographs of newly fitted stores to support their request and explained the benefits, such as a generated increase in footfall. This injection of capital was then built into the lease negotiation; in some cases as a substitute for a rent-free period. For the landlords’ assurance, the lease included details that obliged Bonmarchè to carry out specific improvements in accordance with a pre-agreed specification. Now that the turnaround period has long completed, Bonmarchè is turning its eye to expansion. In the past there has been a trickle of new stores added to the network but the timing is right to gear up. Continued improvements in the range and quality of product, increased sales densities and advantageous property costs have paved the way for this. In the past two months, CAPA has sourced new sites for the business, with openings in Dunfermline, Livingston, Perth, Basingstoke, Wigan, Bexleyheath, Sutton-in-Ashfield and a new flagship due to open in Glasgow before Christmas. Trading performance in these new stores is already outstripping expectations. This bodes well for the future but also instils new-found confidence in expanding in markets which had previously been cost-prohibitive. As Mike Sheath says, CAPA’s role and the performance of Bonmarchè has, in 2017, come full circle.